We really like this here at sturban clothing! We love something a little funky and this brand new four track extended player on Southern Cuba Records is constantly near our CD player! ‘Blow Up’ has a real catchy hook and that T-Pain, Akon feel with effected vocals, ‘The Art’ is has some good lyrics, ‘Be Like This’ is just banging and the last track ‘I Gotta Go’ is just plain original with a great club feel. This EP is qwerky and funky and totally refreshing! 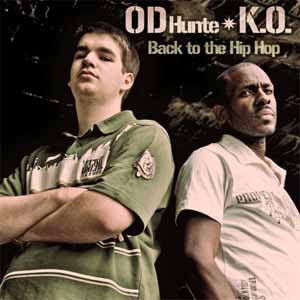 If a lot of UK Hip-Hop just depresses you then put something uplifting on and step into the world of K.O and OD Hunte.